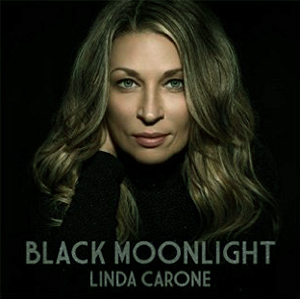 When it comes to singing the Blues, Linda Carone is no shrinking violet and Black Moonlight proves that as in song after song she exhibits gleaming, indigo-blue tonal qualities and an articulate engagement with that feeling of the Blues. Given that there is a premium placed on the ear/heart relationship in “the music” it’s a question of “Blues” by name and “Blues” by nature. And on Black Moonlight Linda Carone together with bassist and producer George Koller throw an imposing artillery including John Johnson on bass clarinet and tenor saxophone and Ron Westray on trombone at the quintessence of the Blues tradition. Yet, while the result is predictably awe-inspiring, Miss Carone is often at her most affecting when at her most intimate, as in “Black Moonlight”, she lets the lyrics of the song bleed with her emotions. Eloquent discs of the Blues have established the idiom as an African-American one and anything other than coming from that source may be derivative, but every once in a while there comes a disc such as Black Moonlight seemingly from left field which suggests the presence of an “African” heart and soul in a musician of great abilities such a Linda Carone. While all of the songs on this album point in that direction, the two songs, “Under the Spell of the Blues” and Helen Humes’ “Livin My Life My Way”, prove that beyond the shadow of a doubt. Her raw-silk contralto folds the very heart of the emotion into the lyric which, combined with the aural “authenticity, the dry acoustic of the studio (and the engineer Bernardo Francisco Cisternas) that enhances not just clarity, but also the instrumentation’s pungent and pile-driving precision and moody ceremonial. 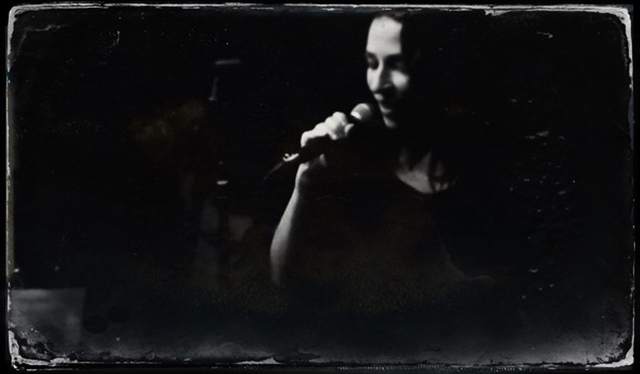 Linda Carone is brilliantly schooled in the aesthetics of vocal music and her singing is firmly based in the legato of emotion, and the expression comes through in the music. Her sense of belonging in the story combines with the urge to travel with the experiential lyric to its fullest expressive limit is all too real. This shows itself in every one of the ten songs in this recital. But it is the warm, judiciously nuanced account of the complete breakdown of (her characters) life in “Black Moonlight” sung with ringing authority by Miss Carone, together with John Johnson’s moving account on bass clarinet that makes the whole experience of this album worthwhile, as Mr Johnson’s playing is thick with both ominous (in his opening bars at the beginning of the song) and comforting (in his solo) phrases and lines. There are many hours of listening pleasure on the many splendoured, Bluesy richness of the songs on Linda Carone’s Black Moonlight. What a great review, this CD is absolutely incredible. Linda Carone makes it all sound so easy and being backed by some of the best musicians around doesn’t hurt either!